These four lessons explore how tragedy and triumph transformed Chicago in the late 1800s, and how that transformation had ripple effects around the world. Students examine various works of art, informational texts, and primary sources in order to analyze how Chicago was transformed by the devastation of the Great Chicago Fire in 1871, the technological advances of the Chicago World’s Fair in 1893, and the innovative design ideas of Frank Lloyd Wright. Students have opportunities to create their own inventions and architectural designs, and to explore new ideas through written text and personal writing. Summary: In this lesson, students learn about the Great Chicago Fire and how it transformed Chicago. 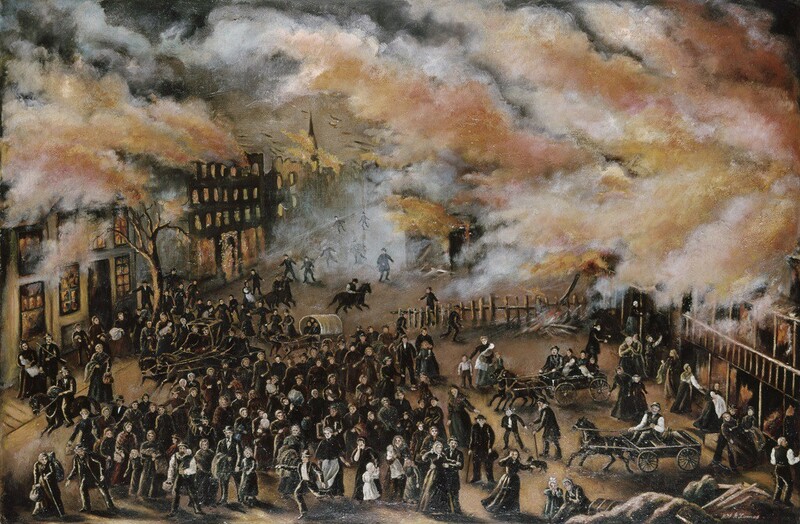 Students closely analyze Memories of the Chicago Fire in 1871, a painting by Julia Lemos, and read an informational text about this image. They read an additional article about the fire as well as a primary source letter from a boy who survived the fire. Students write letters from the point of view of a survivor of the fire, and conclude with a discussion about how the Great Chicago Fire transformed Chicago. 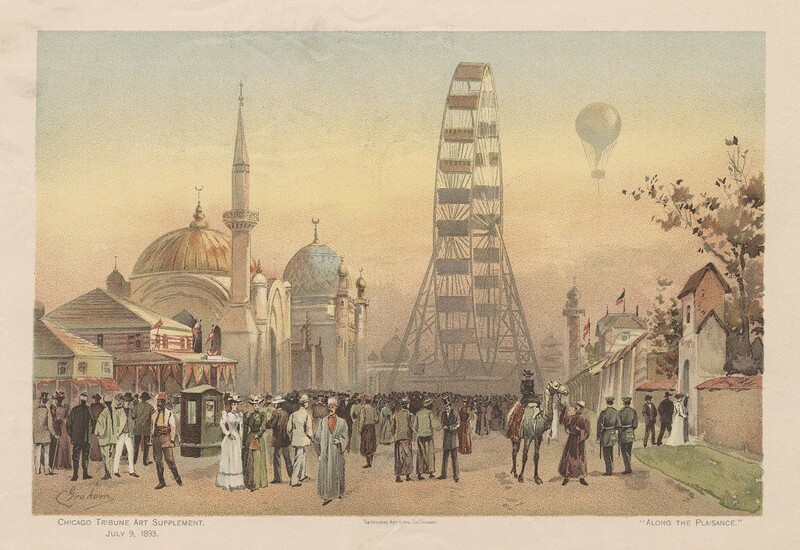 Summary: This lesson explores how the Chicago World’s Fair of 1893 helped transform the lives of people in Chicago and in the rest of the world. Students analyze the painting Golden Doorway of the Transportation Building: World’s Columbian Exposition, 1893. They deepen their analysis by reading an informational text about the artwork. Then they read a short story about the 1893 World’s Fair and discuss the inventions and innovations that are mentioned in the story. Next, students look closely at the lithograph Along the Plaisance and read an informational text about this artwork. As a concluding activity, students create posters about the three greatest accomplishments of the 1893 World’s Fair. 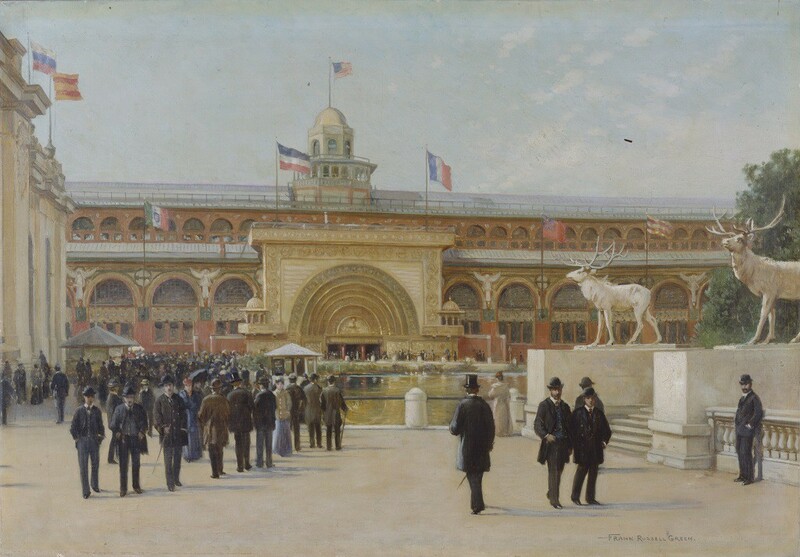 How did the 1893 Chicago World’s Fair affect the people of Chicago and the world? 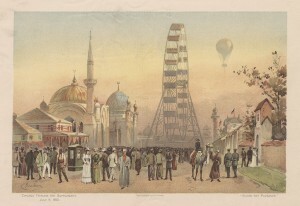 The 1893 Chicago World’s Fair helped transform people’s lives by providing a place where inventions and innovations could be presented to the world. 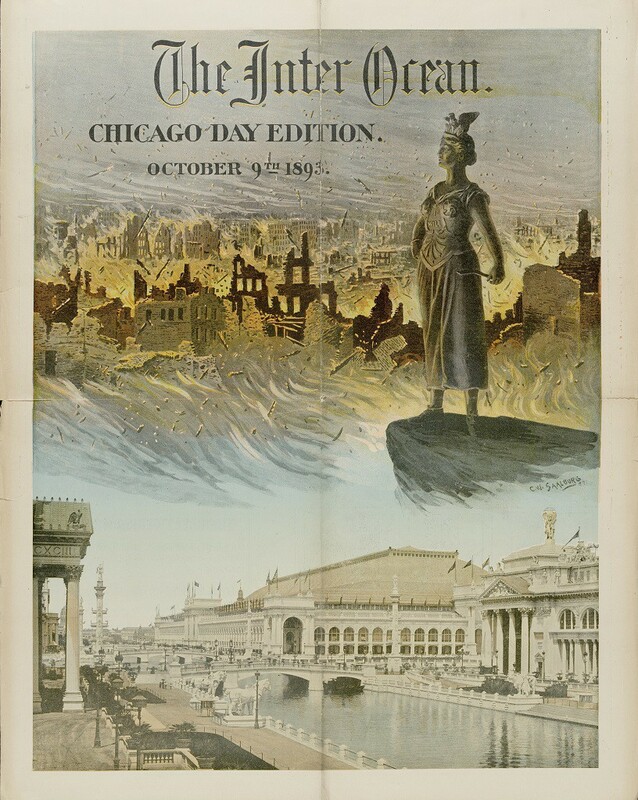 Summary: This lesson is built around a cover image from the October 9, 1893 issue of The Inter Ocean, which depicts the Great Chicago Fire of 1871 and the Chicago World’s Fair of 1893. 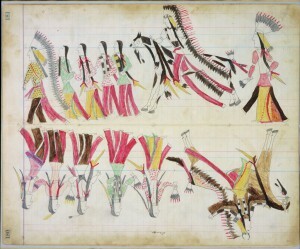 The image is used as a reference point for discussing how a community can be transformed by major events. 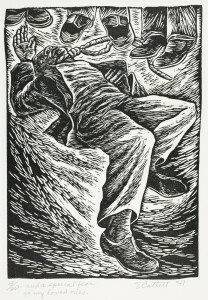 Students conduct a close reading of the artwork, read an informational text about it, and write about the transformations shown in the work. Students then identify challenges in their community and discuss how these challenges could be transformed in a positive way. To conclude the lesson, students create and present posters that depict a current challenge and show how it could be transformed. How can a community be transformed by major events? 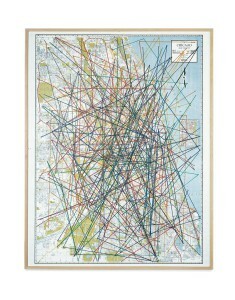 How does an artist’s point of view influence the stories of people, places, and events? A community can be transformed by tragic events as well as positive ones. The Great Chicago Fire of 1871 and the World’s Fair of 1893 were forces of change that affected people locally, nationally, and globally. Summary: In this lesson students encounter the innovative designs of Frank Lloyd Wright, the famous architect who began his career in Chicago at a time when the city was recovering from the effects of the Great Chicago Fire. Students examine photographs of a playroom that Wright designed for his children. They read an informational text about the playroom and about Wright’s innovative style of architecture. 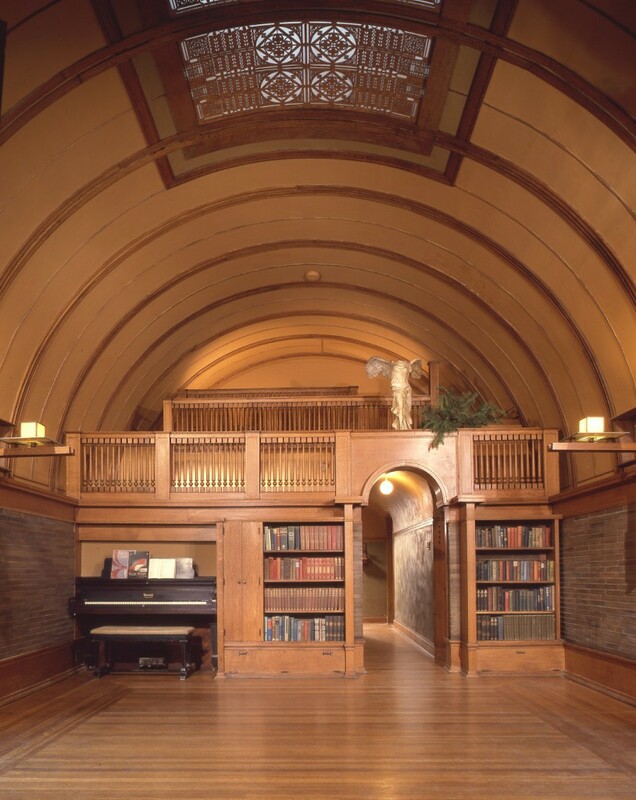 Students compare and contrast Wright’s Prairie style with the more traditional Victorian style, and then design their own “perfect playroom.” To conclude the lesson, students discuss how Frank Lloyd Wright’s innovations transformed the American home. How can an architect transform people’s ideas of what their homes should look like? 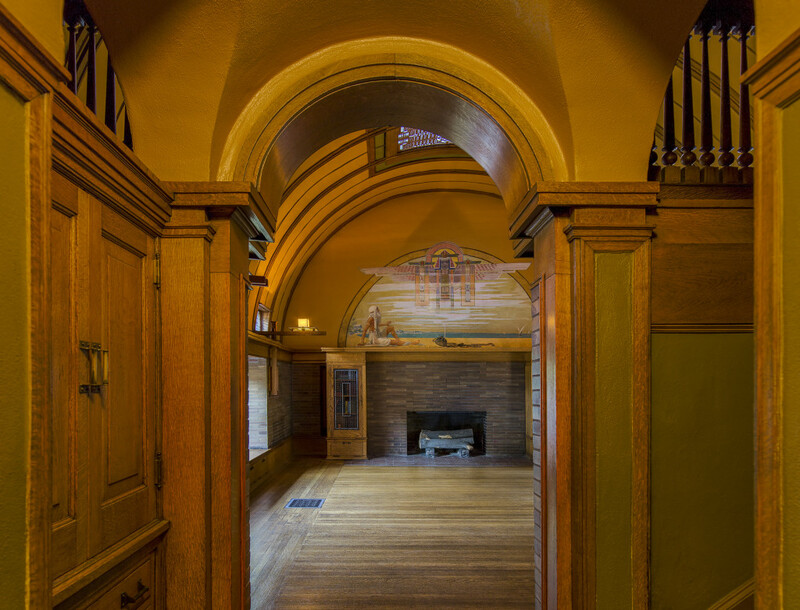 What innovations did Frank Lloyd Wright introduce in the American home? 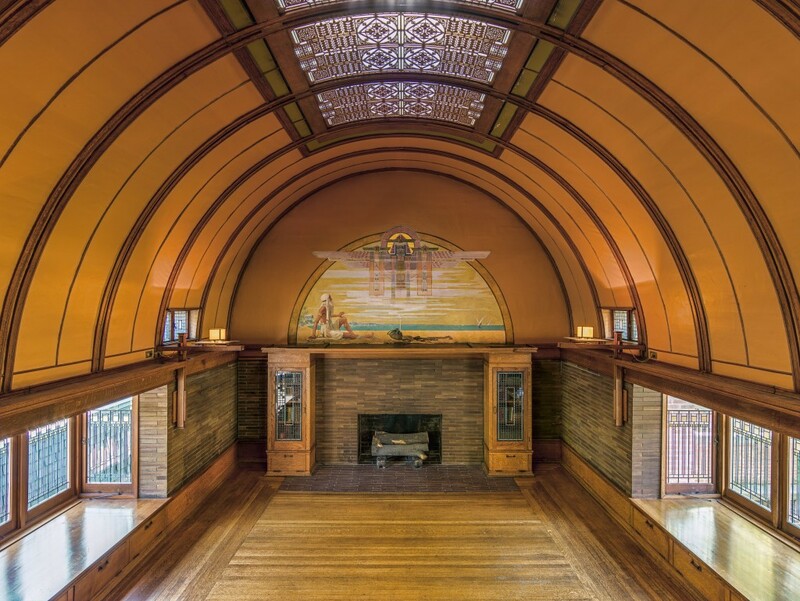 Frank Lloyd Wright understood how family life was changing in the early 1900s and the homes he designed helped influence those changes.